We welcome you to meet our veterinarians and staff. 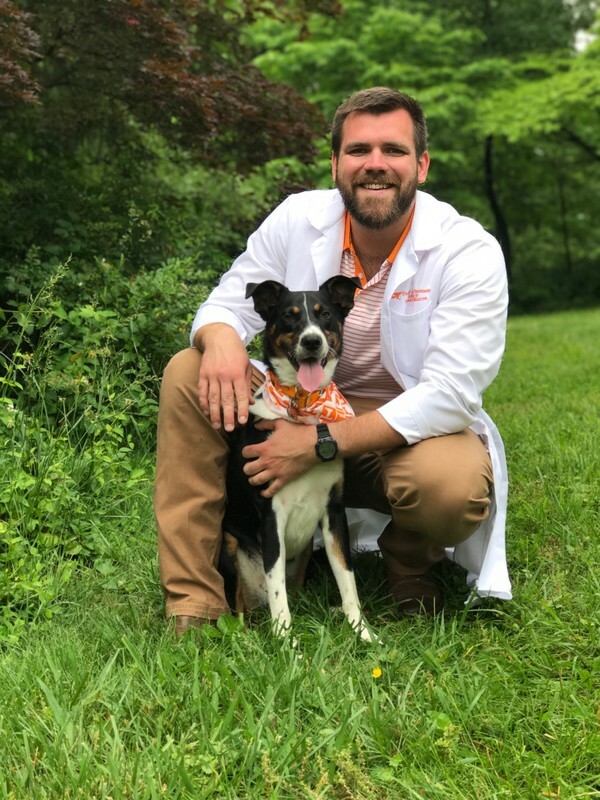 Dr. Tyler Davis: Dr. Davis is a recent graduate (2017) from The University of Tennessee College of Veterinary Medicine. He is an associate veterinarian at Mineral Wells Animal Clinic. He is hardworking and interested in a well rounded career in both large and small animal medicine. Dr. Leslie Poynor: Dr. Leslie is our newest member of the MWAC team. She is a part time associate veterinarian. She is a graduate of St. George University. 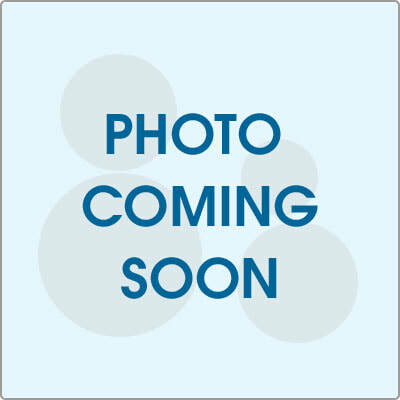 She will greet you and your pet with a bright smile and a warm demeanor. 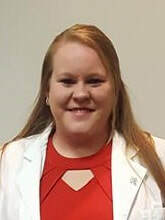 Michelle Hopkins LVMT: Michelle is a Licensed Veterinary Medical Technologist, she graduated from Murray State University in 2007 with a Masters in Animal Science. She joined MWAC in 2005 and has a special interest in anesthesia and surgery. Briana Birge LVMT: Bri is our newest member to the technician team. She is a graduate of the Animal Health Technology Program at Murray State University. She enjoys both large and small animal medicine. Laurie Lemke: Laurie has been a technician at MWAC since 1995. She is our main exam room technician and enjoys the interaction with the clients and their pets on a regular basis. ​Debbie Michaels: Debbie has been a technician at MWAC since 2007, she is an exam room technician. She also helps fill in as kennel technician when needed. She is our go-to tech for a patient that needs special care such as hand feeding or warming up. 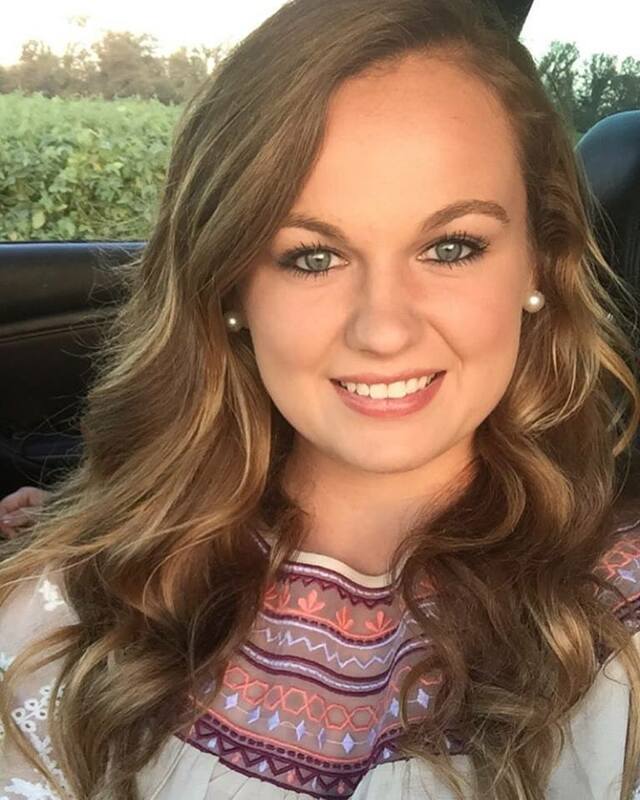 Amanda Andrews LVMT: Amanda is a full time technician and recent graduated from The University of Tennessee at Martin, in the Veterinary Health Technology Program. Amanda came to the clinic with the opportunity to job shadow for college and just fit in with everyone. She enjoys surgery and helping with equine patients. Tammy Garland: Tammy is our full time kennel technician, she works hard to keep your pets comfortable and to make them feel like they are right at home when they are staying with us in our boarding facility. She also helps with surgical recovery and monitoring patients in the hospital ward pre and post operative. Sophie MWAC: Sophie is our resident blood donor canine. She has been at the clinic for many years. She came to us with a gunshot wound and broken back leg. We fixed her up and her owners surrendered her to us. We had all fallen in love with her and decided to have her stay a clinic dog and save lives. She is a very valuable part of our team. ​Averi Yalda: Averi is a part time kennel technician, she is a graduate of the University of Tennessee at Martin. She has a bachelors degree in Animal Health Technology and will be going to Auburn School of Veterinary Medicine for her internship and then will be joining the clinic again. Tony Brewer (Hillbilly): Tony is our full time afternoon and evening kennel technician and all around handyman. There is not a job that he isn't capable of doing. He is a great addition to our staff and the animals love him. Chase Clayton: Chase is a student at Murray State University where is is currently majoring in Animal Health Technology. We met Chase when he came for a visit for a research project for school. He was offered a kennel position part time and he was excited for the opportunity. We love having Chase with us, he is great with the animals and treats them like his own. Julie Medlock: Julie is our full time large animal technician. She is a graduate from Henry County High School and has been around cattle and horses her entire life. Gracie Milam: Gracie is a part time kennel technician. She is currently enrolled in Henry County High School. During her downtime is active in the National FFA Organization. Jessica Robinson (middle): Jessica has worked at the clinic as a receptionist for over 10 years. She knows the ins and outs of the front part of the clinic. Jessica (JP) Palicka (left): JP has worked at the clinic since 2012. Jp has a special interest in diets and nutrition and handles our prescription diet inventory. Ashley Underwood (right): Ashley is our newest receptionist joining the team in 2016. She is currently enjoying the process of getting to know all of our clients and patients. Pam Lyons: Pam has been with the clinic for many years. She was hired as a groomer and moved her way up into a recpetionist postition and then practice manager. She makes sure the clinic continues to run as smooth and efficiently as it can. 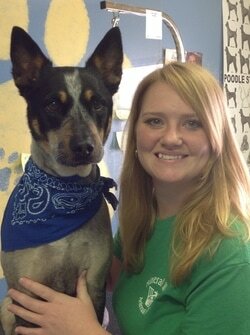 ​Amber Parks: Amber started working at the clinic as a kennel technician in high school. After graduation she attended Arkansas Pet Grooming School and graduated in 2008, upon graduation she started grooming full time. She was selected as the Paris PI Readers Choice Award Best Groomer in 2012. ​Junior: He is our night shift security, since most days he is found sleeping in a doctors chair until about 1 pm. Then he is our counter greeter after he wakes up from his morning nap. 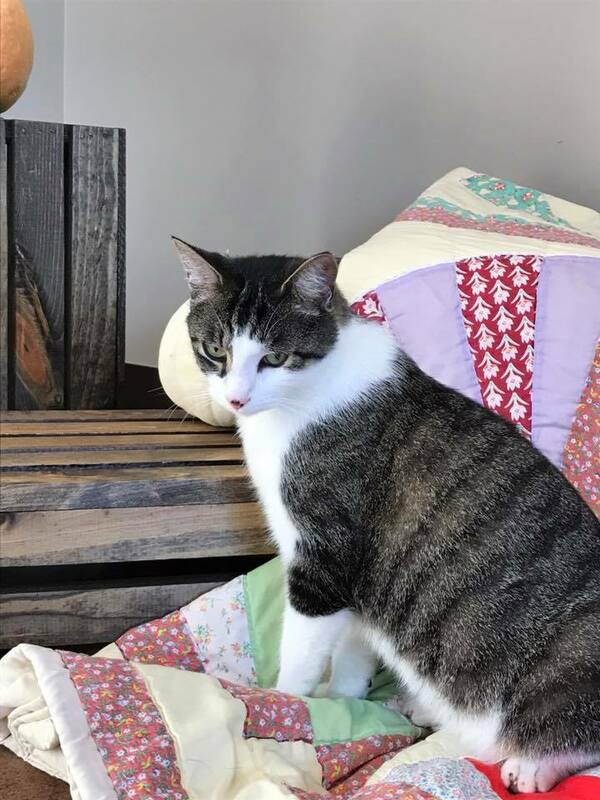 June Bug is also our current feline blood donor. He has saved many lives over the past years. 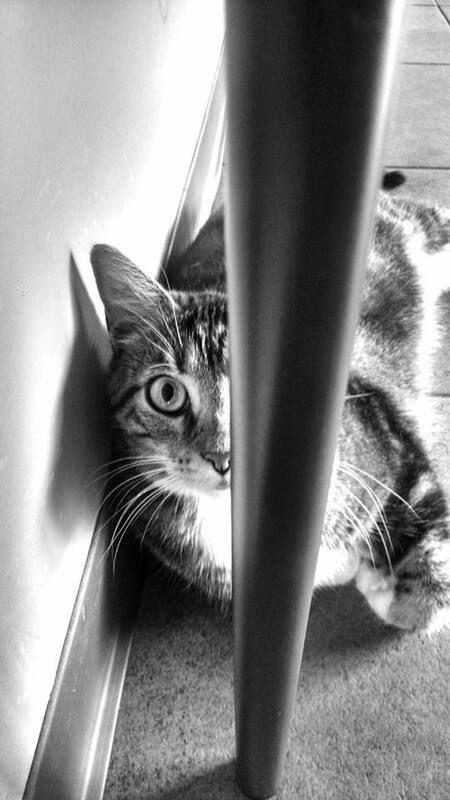 Pistol: He is daytime security and can be found anywhere around the clinic at anytime of the day. He also enjoys the occasional nap in the exam rooms on the client benches or in random boxes laying around.